UK Bathrooms has been a successful high-end bathroom retailer for over 20 years. 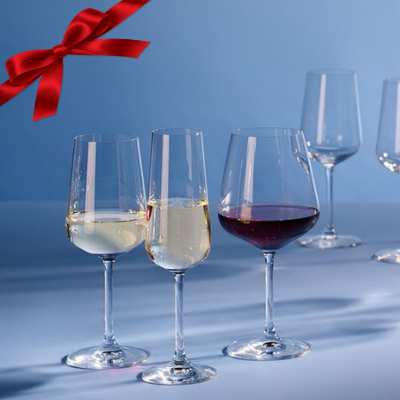 This Christmas we want to offer our loyal customers Christmas presents from Villeroy & Boch tableware. which includes: 4 x Red wine goblets, 4 x White wine goblets and 4 x Champagne flutes. In the Maxima set you will get 6 x Bordeaux goblets (perfect for gin and tonic), 6 x Burgundy goblets, 6 x White wine goblets and 6 x Champagne flutes. That is 24 gorgeous wine glasses to add a warm festive sparkle for your Christmas dinner table. But wait, this is not the only Christmas surprise from us, there is MORE!! When ordering any bath or vanity unit (except Roca and Ideal Standard) you will receive this beautiful Villeroy & Boch coloured Delight tea light holder. They will be the perfect company to create an even more relaxing atmosphere when you are taking a lovely warm bath this winter. Check out the selection of baths here! Find out all different choice of vanity units here! We hope you enjoy these gorgeous presents from us. Merry Christmas and Happy New Year from everyone here at UK Bathrooms! The offer is limited to one free V&B glass set or one free V&B tea light holder per customer, per order. If the order is more than £500 (exclude delivery fee), the customer will receive a free V&B Ovid glass set, if the order is over £1500 (exclude delivery fee), the customer will receive a free V&B Maxima glass set. If the order is more than £500 and includes a bath or a vanity unit, the customer will receive only a free V&B Ovid glass set. If the order is more than £1500 and includes a bath or a vanity unit, the customer will only receive a free V&B Maxima glass set. When ordering any bath or vanity unit, except Roca and Ideal Standard, you will receive a Villeroy & Boch coloured Delight tea light holder. 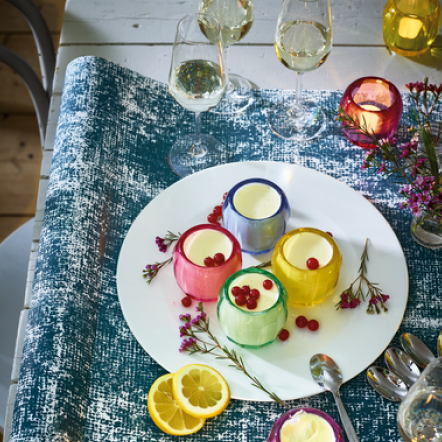 Villeroy & Boch coloured Delight tea light holder is available in 7 colours, the colour to go with an order will be automatically selected by us. Transit damage to promotion items is not covered, there are no replacements offered for damaged promotion items. We do not accept returns of the promotional items. The promotion items are limited, first come first served. Once stock depleted the offer will end!